The new joint team’s work focus will be to develop new technology centered on perception and deep learning and to prepare autonomous vehicle technology for tests towards safe deployments on private and public roads in the Singaporean metro area. Germany automotive component maker Continental has announced that the company will be commencing work on driverless mobility solutions with French autonomous vehicle technology company EasyMile. Both companies have signed an MoU and will have a joint R&D team in place at the Continental’s Singapore based facility. The new joint team’s work focus will be to develop new technology centered on perception and deep learning and to prepare autonomous vehicle (AV) technology for tests towards safe deployments on private grounds and public roads in the Singaporean metro area. Providing a preview into the driverless future, the R&D team showcased at the electrically powered Continental Urban Mobility Experience development platform, powered by EasyMile software. The collaboration between both companies started in 2017, when Continental became a minority shareholder and partner in EasyMile. 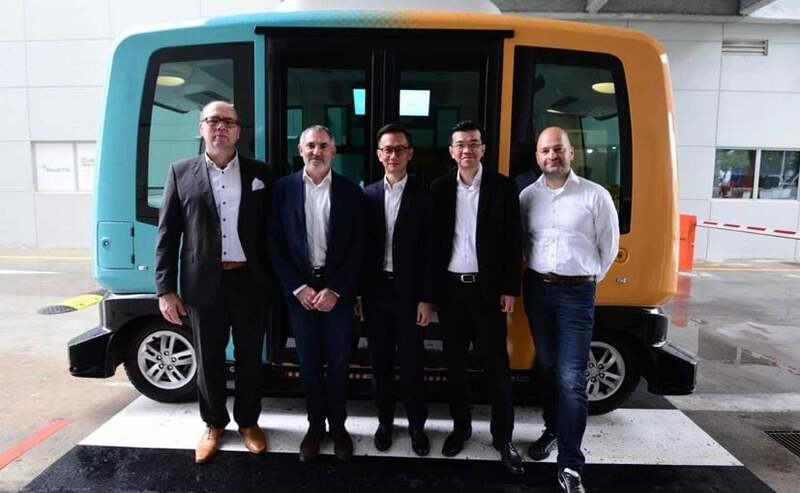 The initiative is also seen as a stepping stone for introducing autonomous vehicles on public roads in Singapore. The city is already equipped with a test centre for autonmous vehicles in, while it has also been identified as one of the three towns for pilot deployment of AVs for public transportation. The Continental facility in Singapore is one its largest R&D centres globally, and employs over 1300 personnel. EasyMile, meanwhile has been operating in Singapore since 2014 with a dedicated team in the city for deep learning and artificial intelligence. The company has deployed over 210 driverless projects in 24 countries.